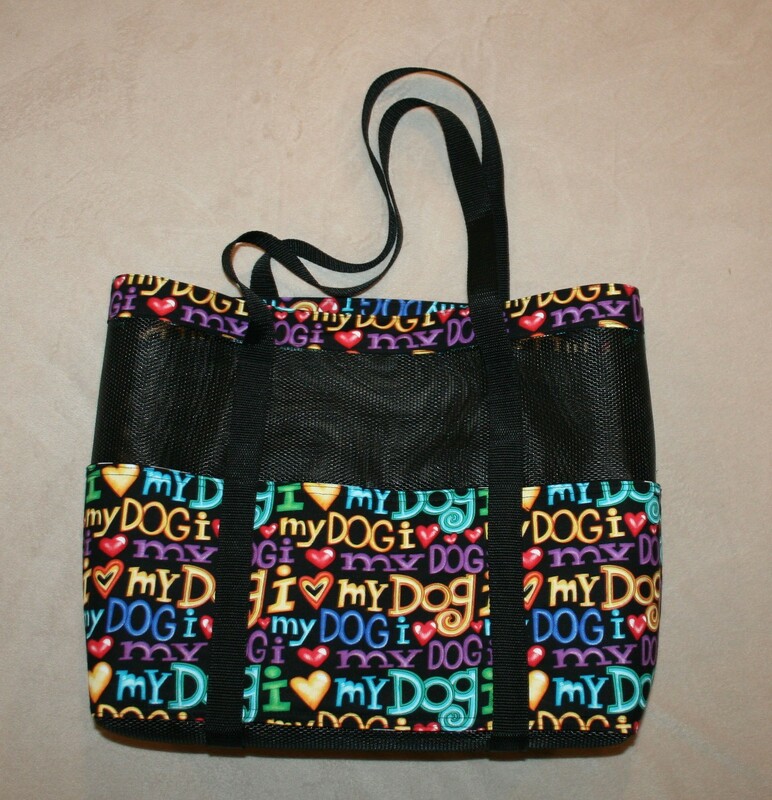 Earth friendly Pet Screen tote / Article bag with 6 outside pockets. It meaures 20" wide X 13" high. This tote is the most useful tote I have found. It will be useful in hauling around your Holiday gifts and can be used the year round.